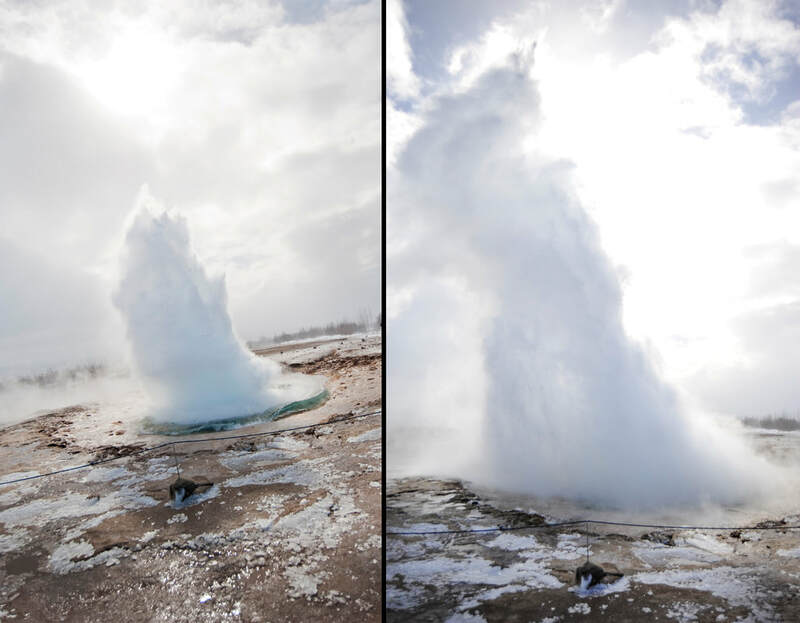 I spent months researching my much-anticipated trip to Iceland in April of 2015. I knew it would be a good time to go. The weather would be getting warmer. The days would be getting longer. Most tourists would still be waiting a few more months to pack their bags. The chances of seeing the Northern Lights would be likely. 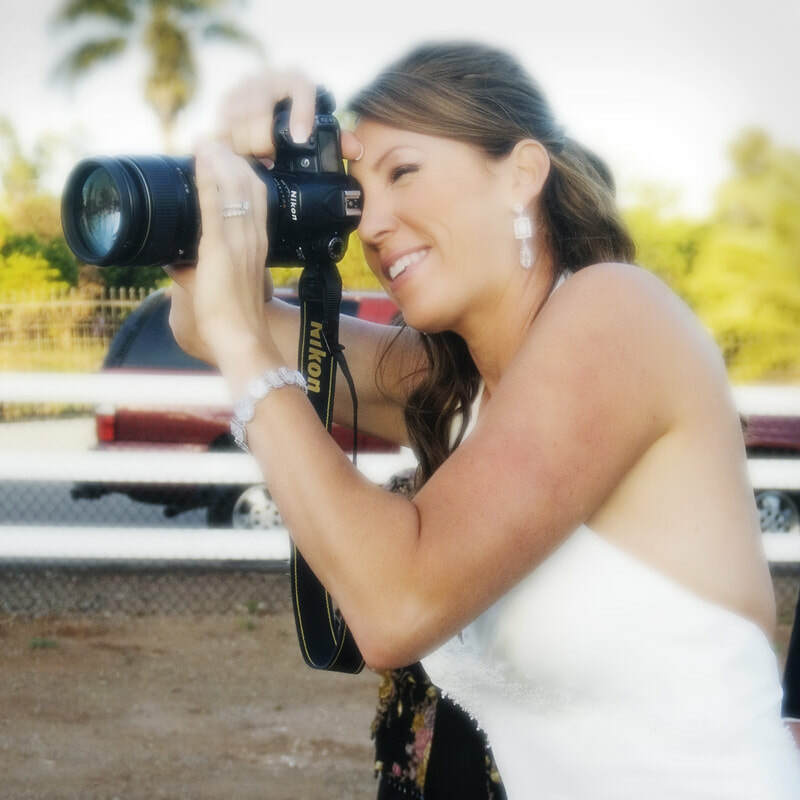 I had every detail of every day written down. The places to sleep, sites to see, places to eat and the milage in-between destinations. The amount of time I spent on Pinterest blogs and looking through travel books had me confident of an effortless mindless trip. Does anything ever go exactly as planned? Of course not! And rightly so. What's an adventure without a few hiccups? 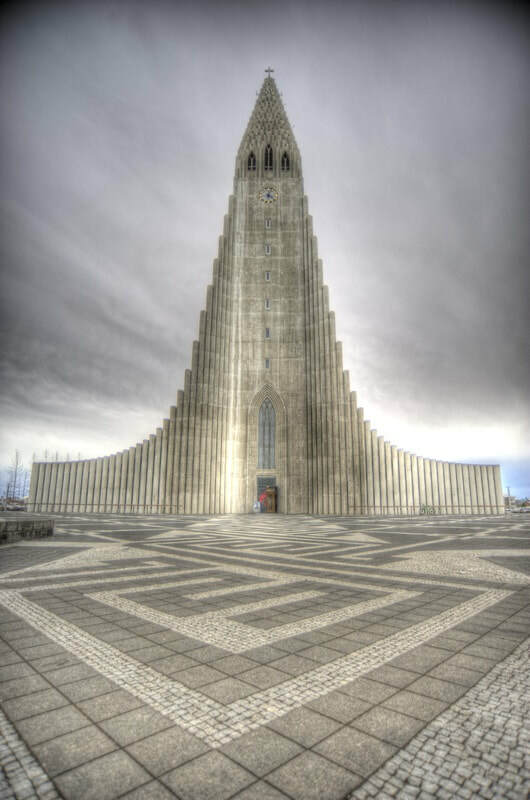 I read of a saga about the Berserkers of Iceland. These were warriors who fought in a nearly uncontrollable trance-like fury and underdressed for battle. They were known for wearing only bearskin pelts. Hardly enough protection in my opinion. They gave rise to the word berserk (erupt in a furious rage). I'm pretty sure we experienced this once or twice during our trip due to situations out of our control. Best laid plans and such. It's now something that also made this trip even more memorable. 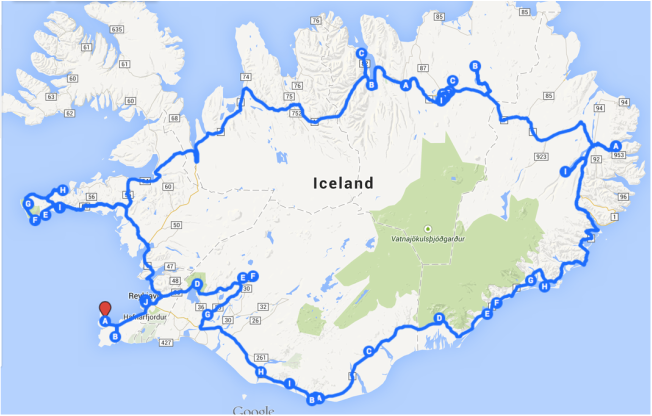 I want to share our 9 night, 10 day itinerary through Iceland, traveling along the Ring Road as a sample of what your trip can be like. I searched for the perfect itinerary to follow and found that there isn't one. You have to make it yourself. Here is what our route looked like. 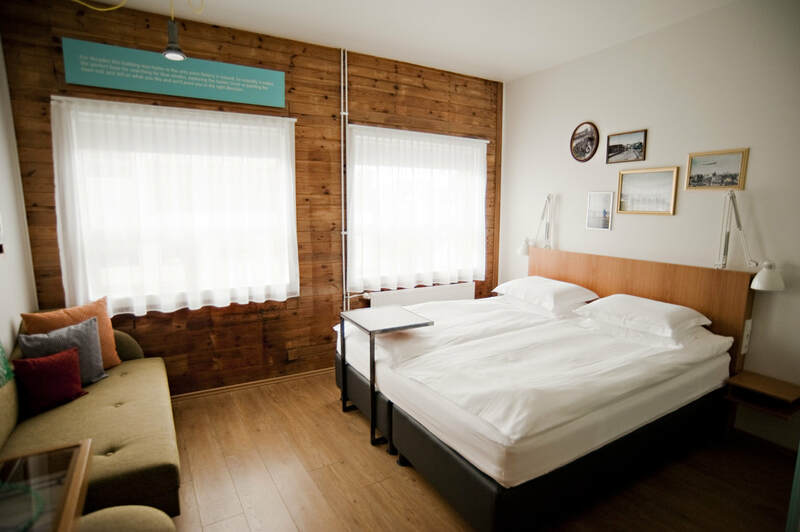 I used Icelandic Farm Holidays (now Hey Iceland) for booking a majority of our accommodations. 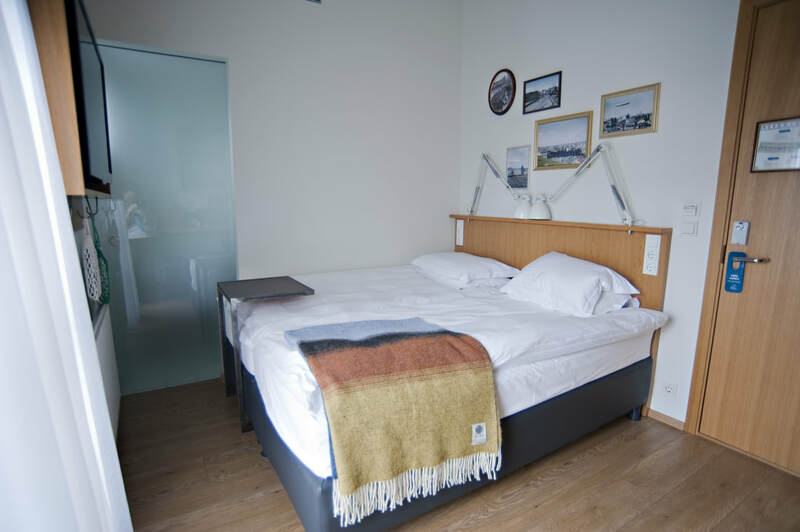 They have the best choice when looking for self catering or guest houses all over the country. We were exceptionally disappointed and honestly a bit berserker when our luggage didn't show up to Iceland with us. We stood there looking at the carousel long after the last person on our flight left, willing the bags to appear. We had just left San Diego during a heat wave to arrive into Iceland during a blizzard and all our warm clothing except for the boots on our feet were in those bags. No!!!!!!! This isn't happening!!!!! Then we were told there wouldn't be another flight in until the next day so HOPEFULLY, they would arrive then. 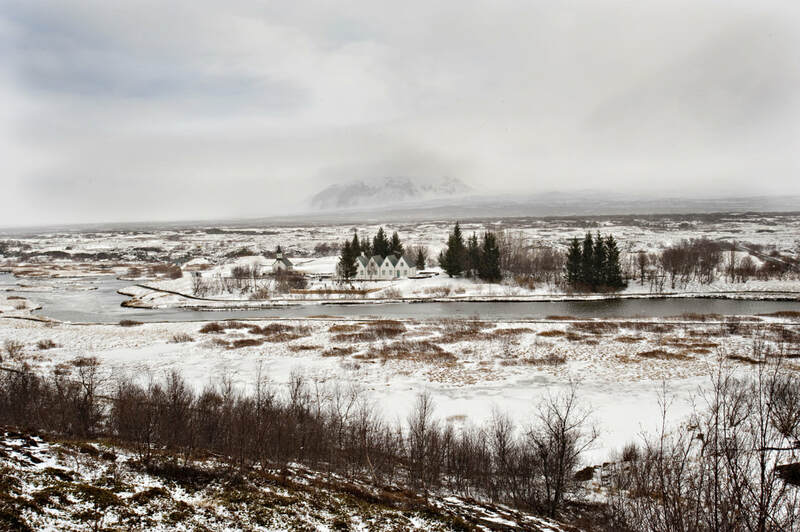 We had planned on leaving very early the next morning and driving the Golden Circle and had no less than half a dozen other stops in the south planned. If we were getting our luggage it wasn't going to be until at least 10 am. This was going be our busiest day and my carefully researched plans were already breaking apart. So after stomping my feet and pouting, we headed to the duty-free to buy alcohol. That usually helps my attitude. 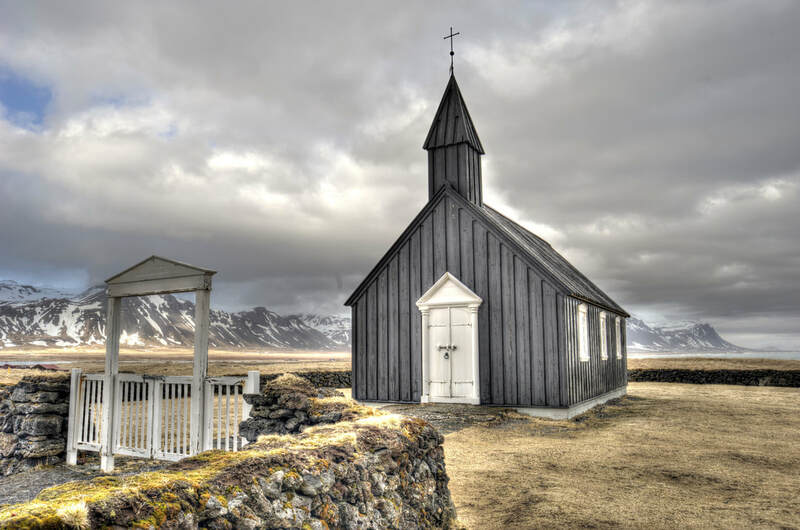 If you plan on drinking at all in Iceland, make sure you stock up on everything you may need here because the price for booze in stores and restaurants will make your head spin. I noticed we weren't the only ones stocking up on beer, wine, and vodka. Everyone else seemed to be rolling their carts, piled high with libations and snacks, from the duty-free out to their rental cars. You will be able to purchase alcohol in bars and restaurants but not in supermarkets. Not to worry. 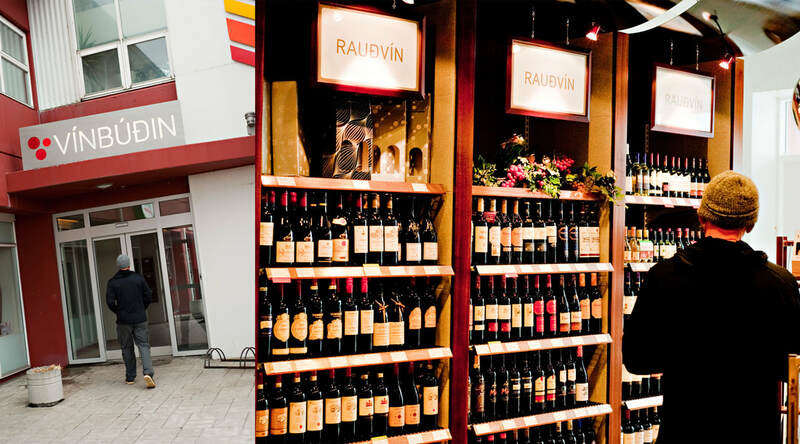 If you miss the duty free store just head to the many Vinbudin around the country. They are the state-owned alcohol shops. You can find everything you might want there but they do have limited hours. There is also no need to continually purchase bottled water for your road trip. We each bought a liter bottle of water and just refilled it straight from the tap. 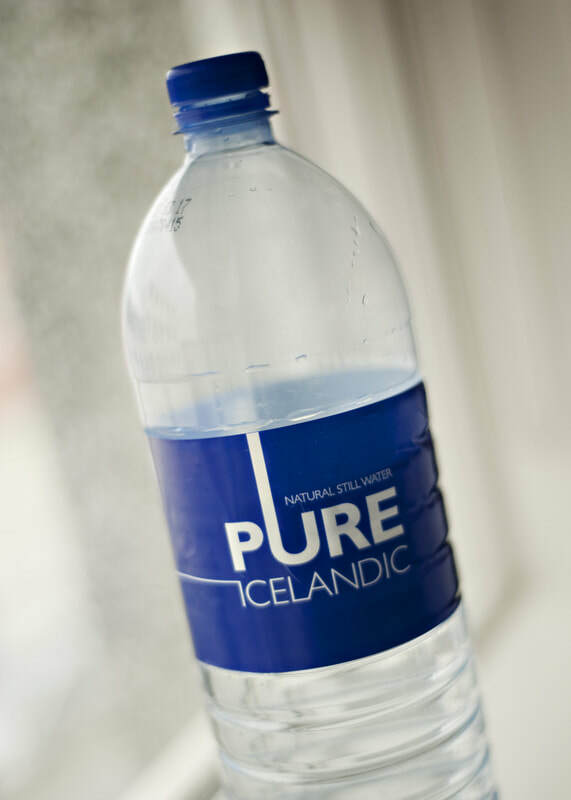 Iceland's tap water is completely safe and I can honestly say that it tastes significantly better than any bottled water I've had at home. You may smell a slight sulfur smell sometimes, but trust me, you won't taste it. 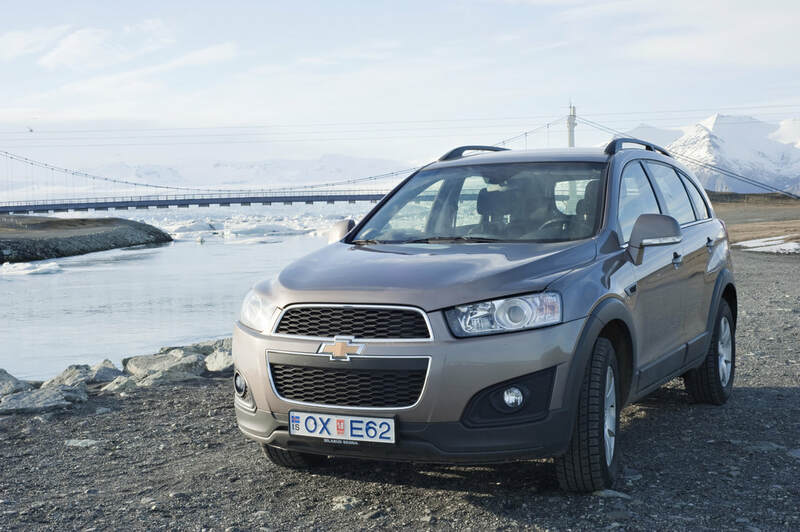 We rented a Chevrolet Captiva from Sixt. I wanted a big comfortable 4x4 because I knew this is where we would be spending the majority of our time over the next week. 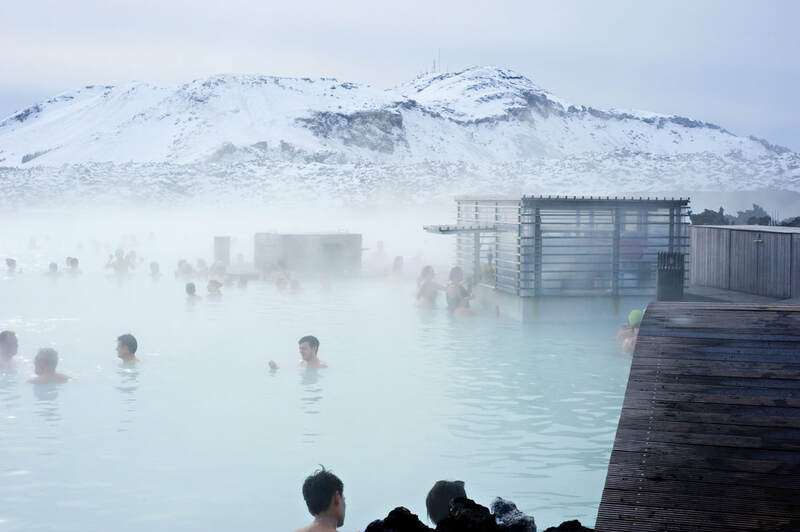 I'd also advise you to get the maximum insurance while in Iceland. I don't normally get additional insurance but getting the gravel, ash and sand insurance seemed like a good idea. We experienced some amazing weather while driving and we're glad we had it. 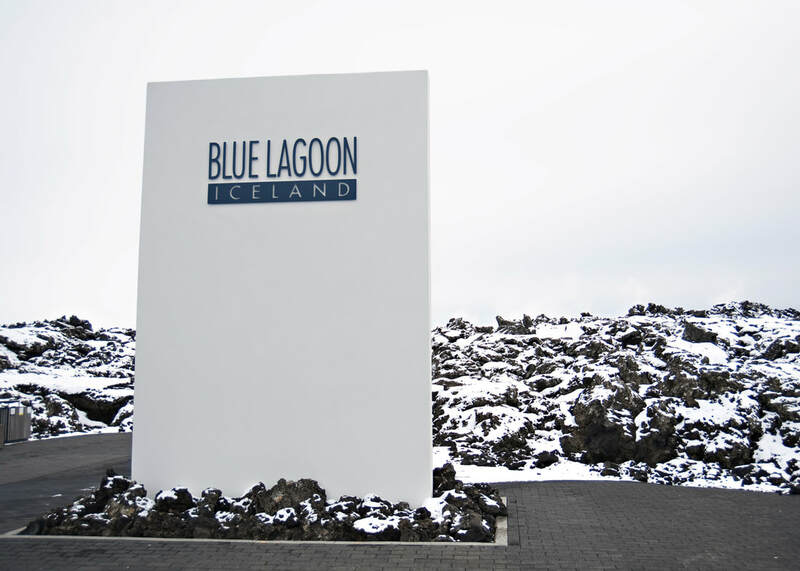 Our first stop on our first day was going to be to The Blue Lagoon. I started my berserking again because our bathing suits were in our no-show bags. Come to find out, yes, they rent bathing suits at the lagoon so all you have to do is show up. The suit I was given was by far the most hideous unflattering thing I've ever put on but this wasn't a Sunday rehab pool party in Vegas event. 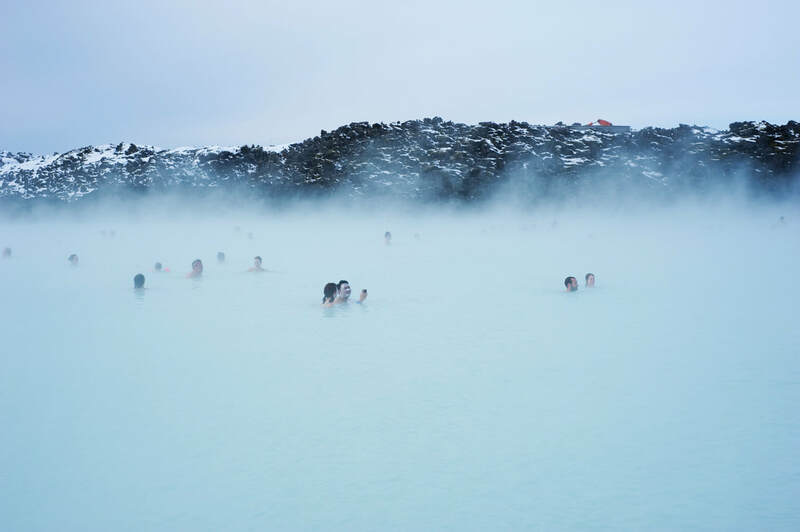 The Lagoon is an obvious stop regardless of its touristy stigma. 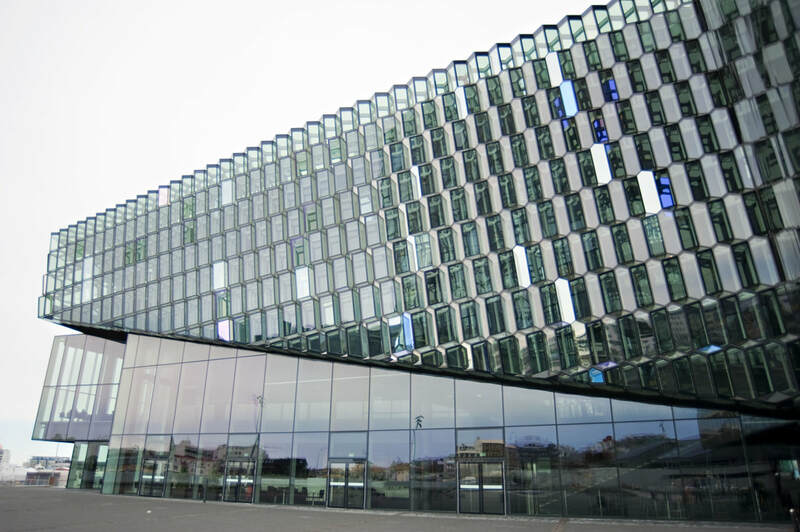 It's a 20-minute drive from the airport on your way into (or out of) Reykjavik. 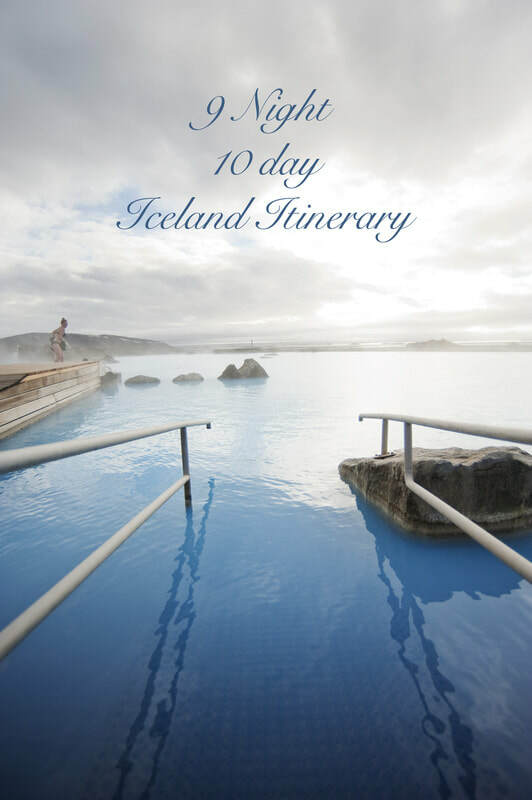 It's a great way to start your adventures after a long flight and it's on many lists of places to see before you die. My goal was to have a cocktail at one of the worlds most unique bars. There's a swim-up bar here that you swipe a bracelet you're required to wear that's linked to your credit card. Brilliant! 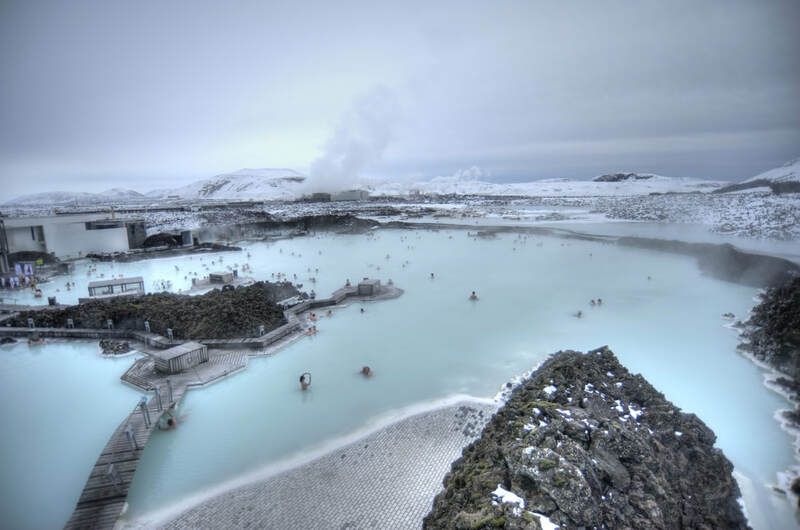 It truly is massive and no matter what time of year you visit, whether its snowing or raining, the water is wonderful. If you're in a spot that's not warm enough, just wade around until you find a spot that is. You can pre-order your tickets online so you don't have to queue up with the group that just got off the tour bus 30 seconds before you pulled into the parking lot. 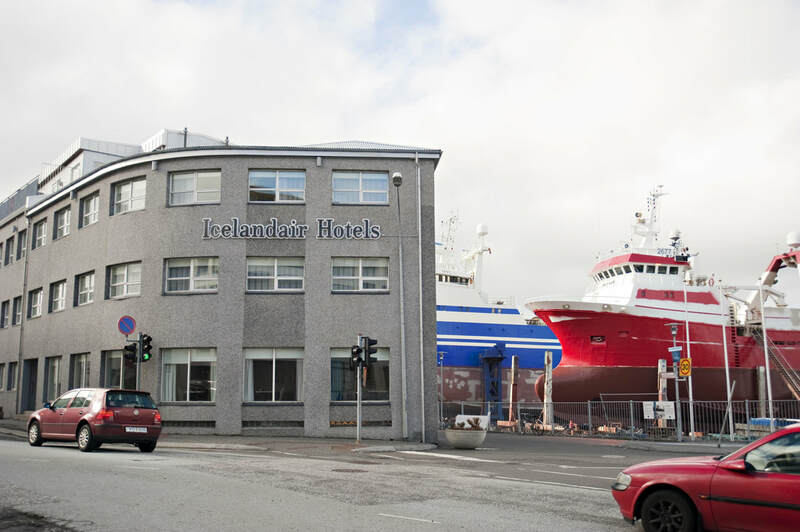 I made a great choice to stay at Icelandair Hotel Marina on the first and last night of our trip. The location couldn't have been better. 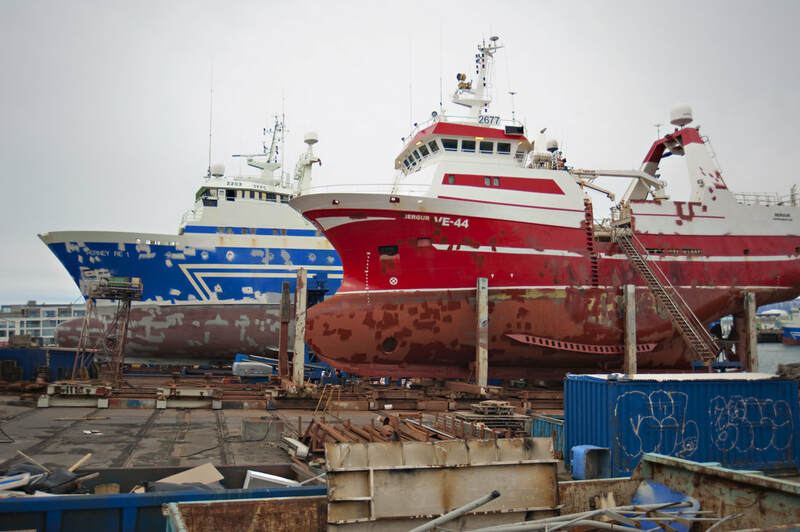 Its located by a slipway in the old downtown harbor district. 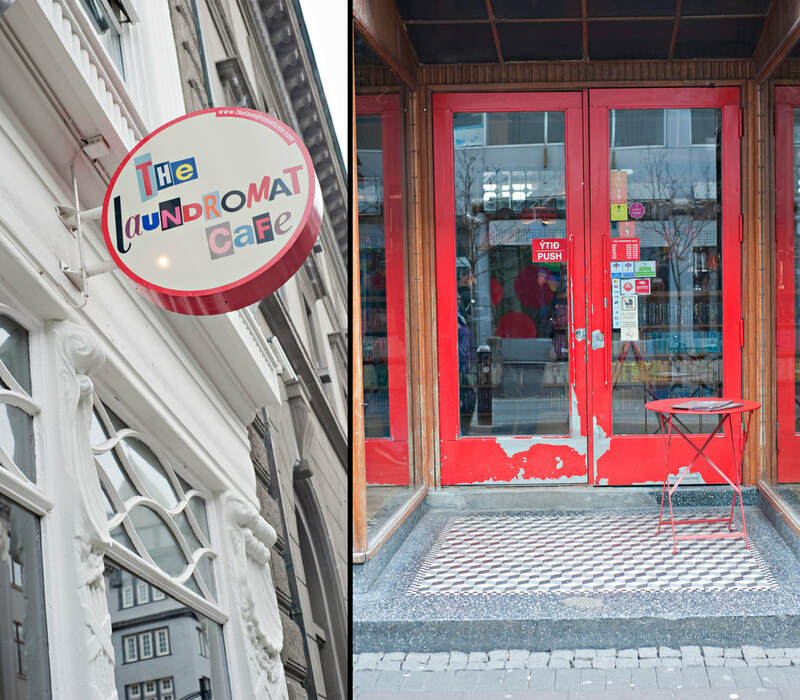 No need for the car here because its walking distance to anything and everything you're supposed to see In Reykjavik. Our hotel also had one of the most popular bars to kick off happy hour. 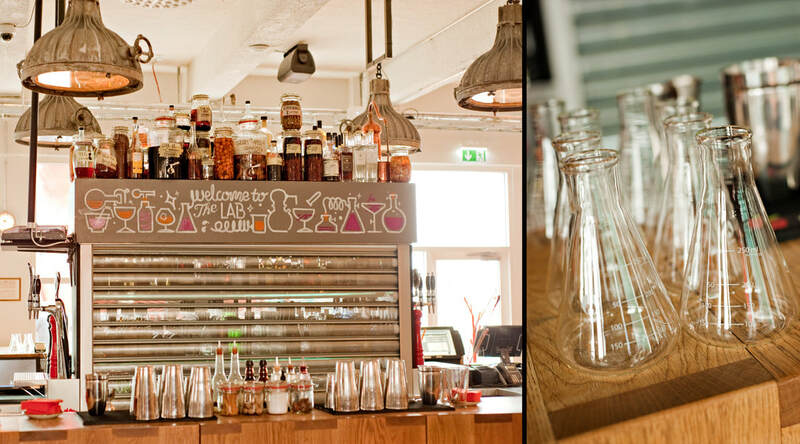 Slippbarinn is a serious bar where you will find locals meeting after work priming themselves for the evening's events ahead of them. Here you will find actual mixologist's taking the time to perfectly create and sample every order they receive. 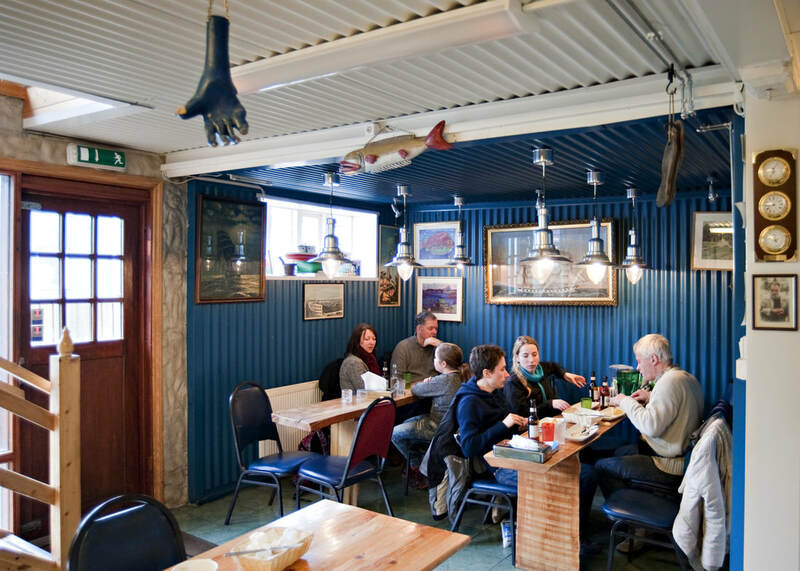 Once you get settled in and cleaned up, head out and get the first of your many Icelandic Fish Soups that you must try while here. 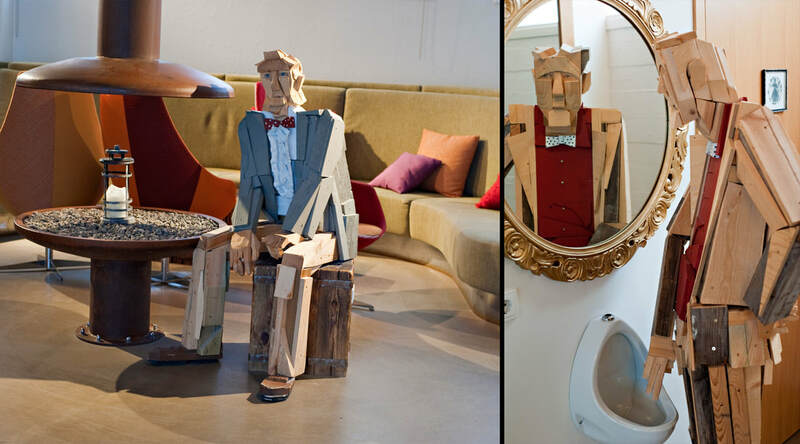 I can highly recommend two fun cafes to do just this. 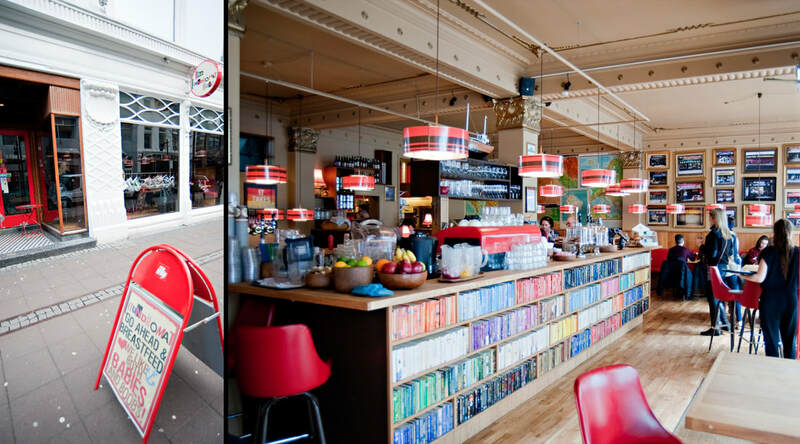 The first is The Laundromat Cafe. 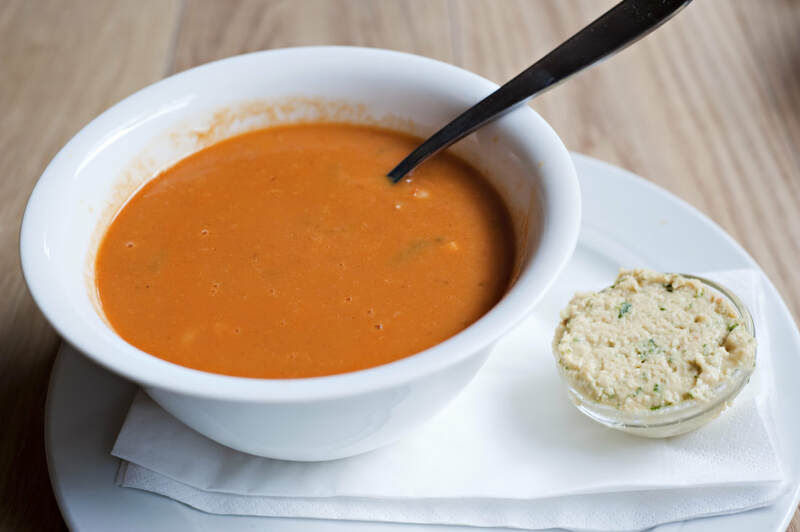 Yes, you can really do your laundry, check your itinerary on the internet and get great soups and salads. 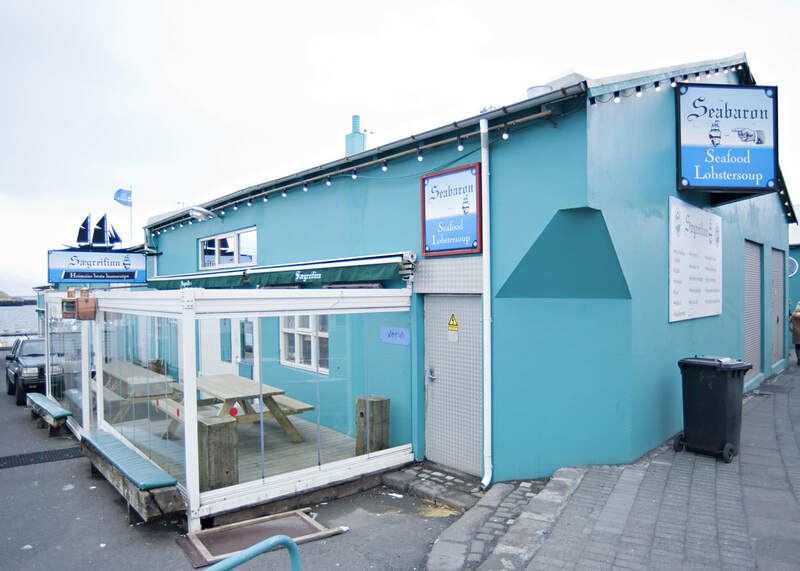 Right across the street from the Icelandair Hotel is The Seabaron Restaurant. Owned by a retired (recently deceased apparently. 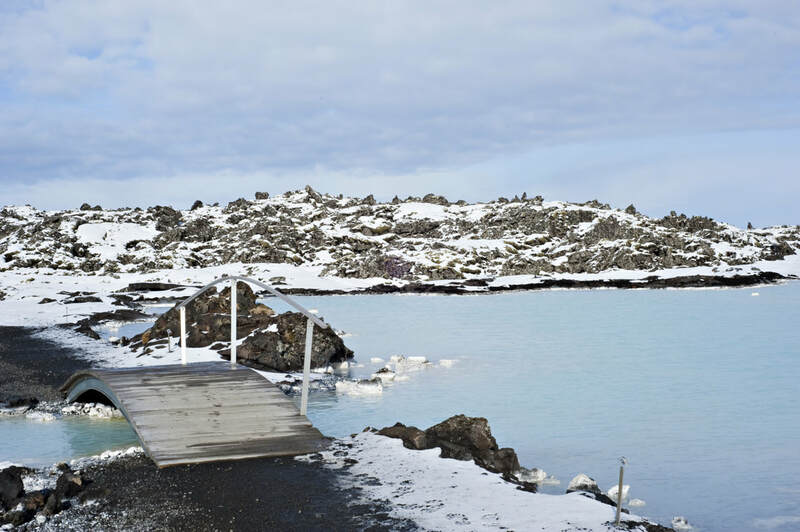 I was advised by Augur of the blog I Heart Reykjavik) the fisherman who has come up with what has been called the world best lobster soup. I'm going to agree with this statement. Served with a huge basket of warm sourdough bread, giant pieces of lobster are scooped up from the bottom of the bowl. You'll be debating on ordering a second helping. 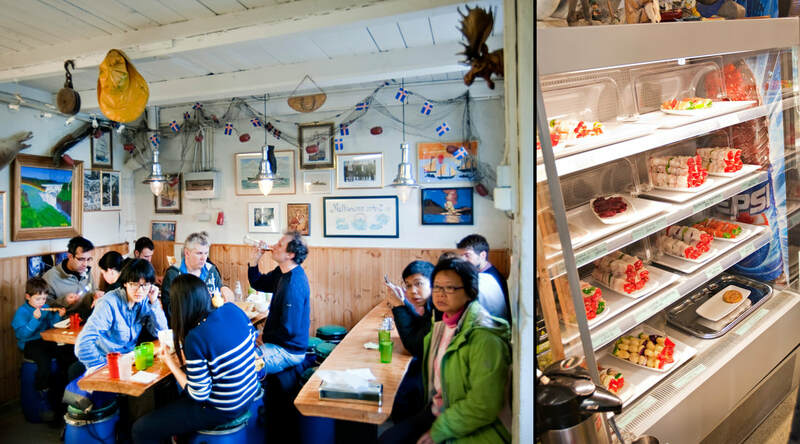 Here in this cozy mariner's themed cafe, you can find the fish of the day including whale steaks (which is kind of frowned upon. Seems like a mostly tourists thing to do). 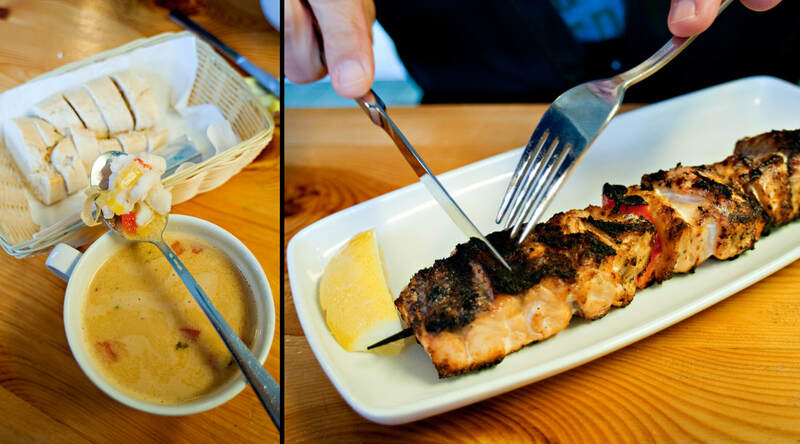 Choose your fish to be grilled up in kebabs to be the perfect addition to your soup. 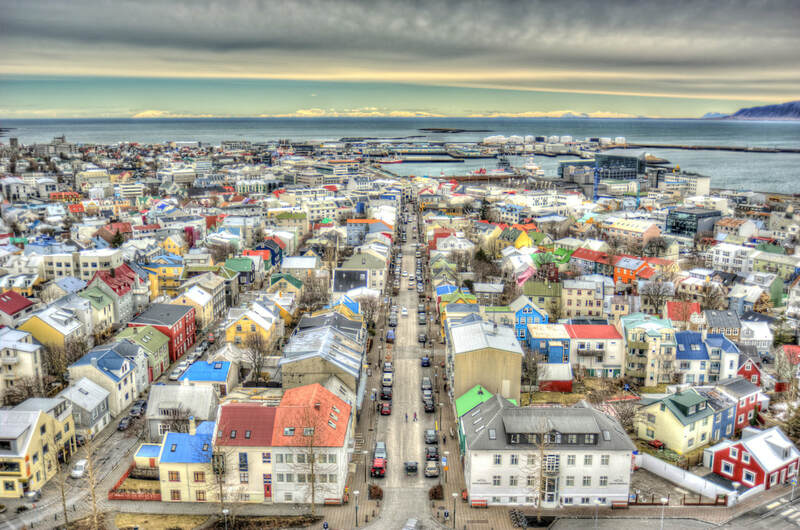 Reykjavik is a beautiful tiny city with plenty of charm and soul but I honestly don't think you should come to Iceland and spend all your time in the city. The reason to come here is the Ring Road circling the country and looking out for those Northern Lights. There are 820 miles of the most awe-inspiring topography to be viewed from the front seat of your own car. 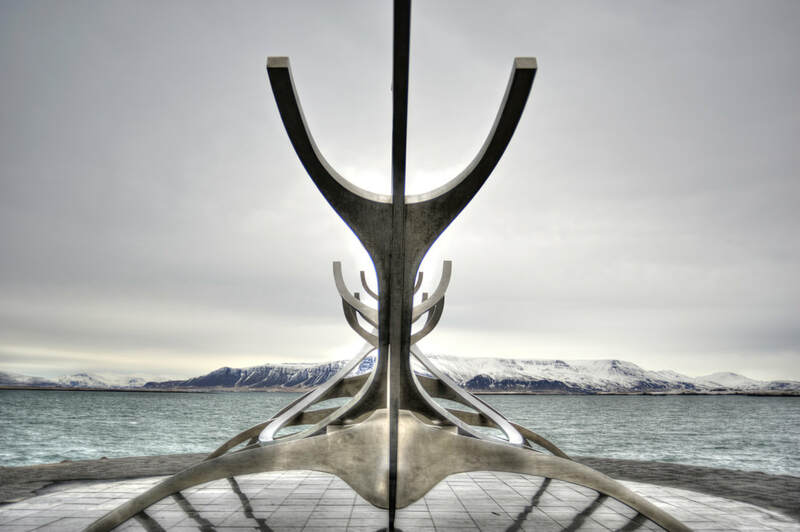 Reykjavik is an easy walking town and many of the popular attractions can be seen within a couple of hours. Climb to the top of the church and for $5 you get this view. Day two started out with very stressing news that our luggage wasn't on that morning's flight from New York to Iceland. Maybe tomorrow. It was snowing outside and the wind was blowing so hard that you could hardly walk without being blown over and we had no warm clothes. Our day was supposed to be driving the Golden Circle and down south into Vik for the night. We couldn't sit in the hotel and mope so off to buy new clothes we went. 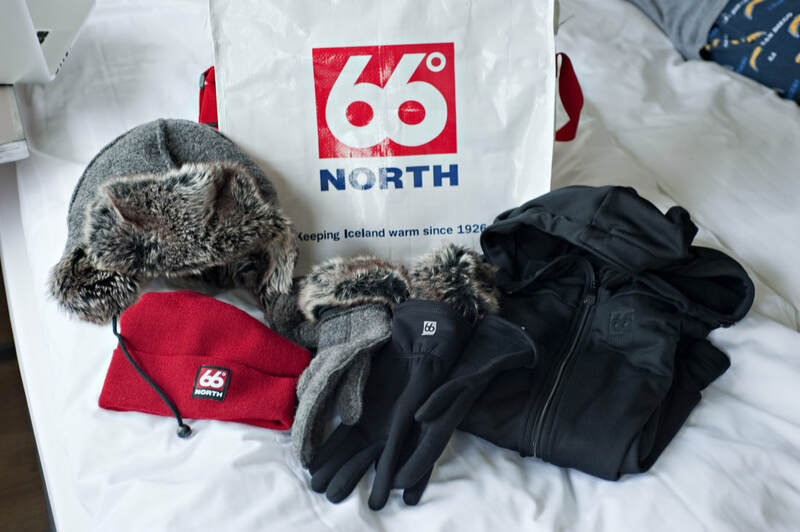 66 Degrees North is Iceland's answer to North Face. These are now the nicest warm weather clothes we own. After this expensive unexpected purchase, we packed up the car later than anticipated and headed out on our first day's adventures. Heres a couple of tips before you shove off on your journey around the Ring Road. If you plan on staying at a few self-catering cottages, which you must, by the way, you'll need to be prepared to make your own dinners. 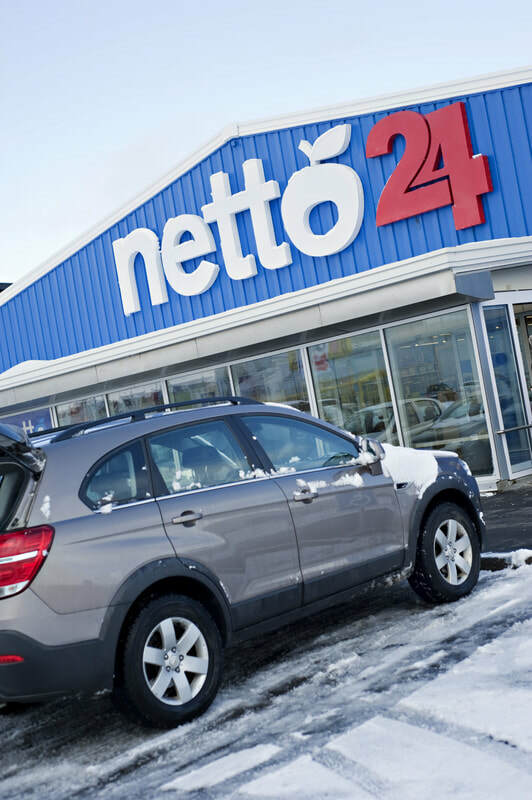 There are great grocery stores in Reykjavik such as Netto, Bonus, and Samkaup Strax. It's also a great idea to load up on picnic supplies. We had many roadside sandwiches to cut the costs down. Plus we always had a free gorgeous view. 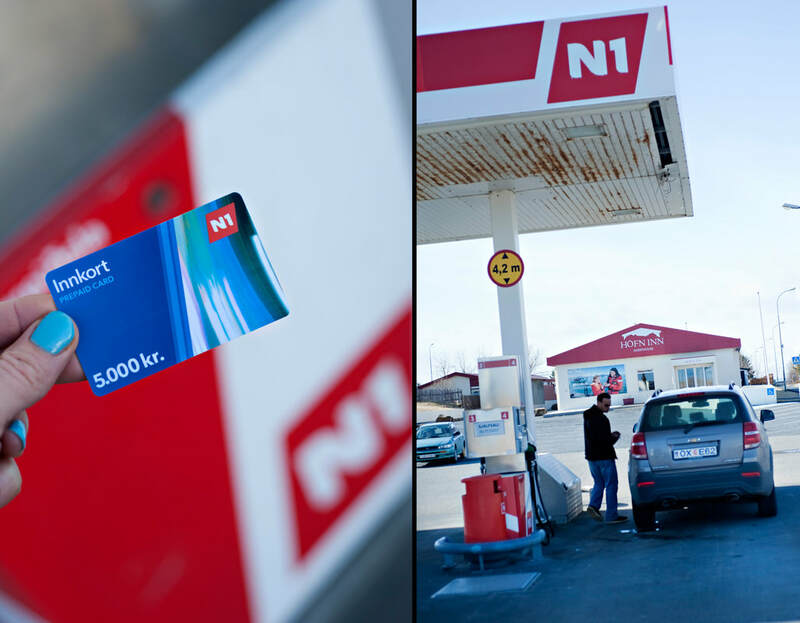 You will want to purchase a gas card from an N1 gas station. These stations will be found throughout your drive. Stations are often quite a distance apart and you will need the card at the smaller stations where there isn't anyone inside to help you. When there is someone inside, you can ask them to "open" the pump, fill up and then go back inside to pay. Fuel was around 211 ISK per liter, $1.52 (about 4 liters per gallon makes $6 a gallon!) So set some $$ aside for fuel costs. We decided to drive the Ring Road counterclockwise because after diving over 950 miles I knew we'd want to be able to spend 2 nights in a very beautiful remote spot and relax at the end of the trip. The ring road itself is 820 miles long and you can plan on adding many more miles with all the side trips. First stop, The Golden Circle. 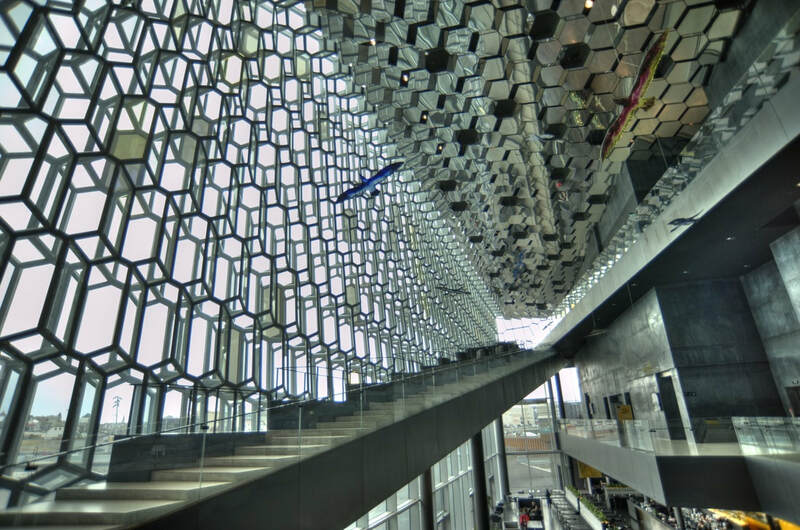 This is on most visitors list of side trips from Reykjavik because of its close proximity. It took just over an hour to get to our first destination, Thingvellir National Park. 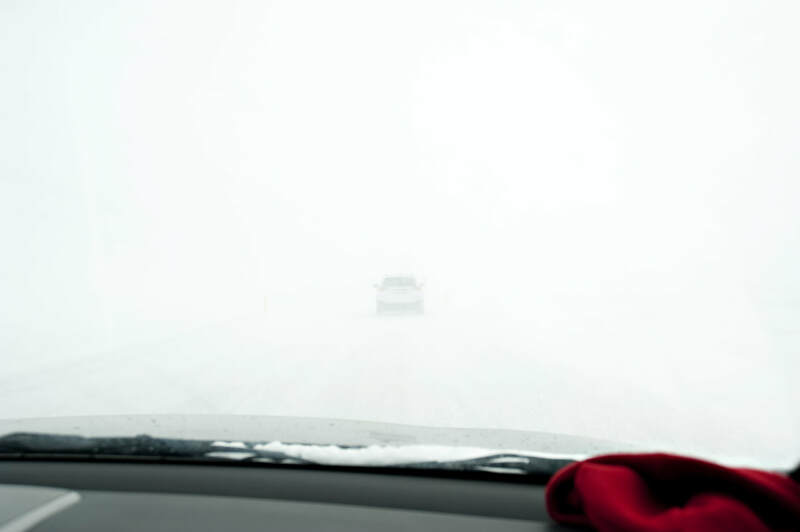 It probably normally takes 45 minutes but we were driving there in a blizzard, in white out conditions most times at 15 miles an hour. This area is historically important and a natural wonder on an international scale. 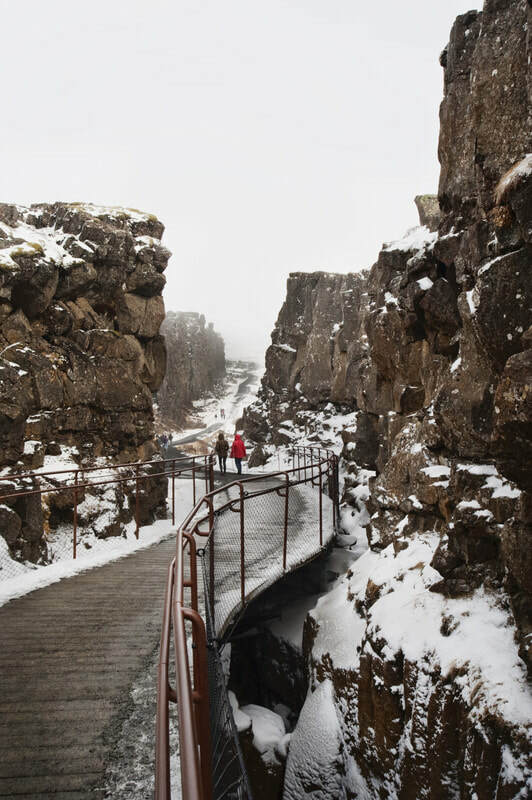 Where else can you walk between two continents? We could have spent much more time here roaming around had it not been for the weather and us not being dressed properly. 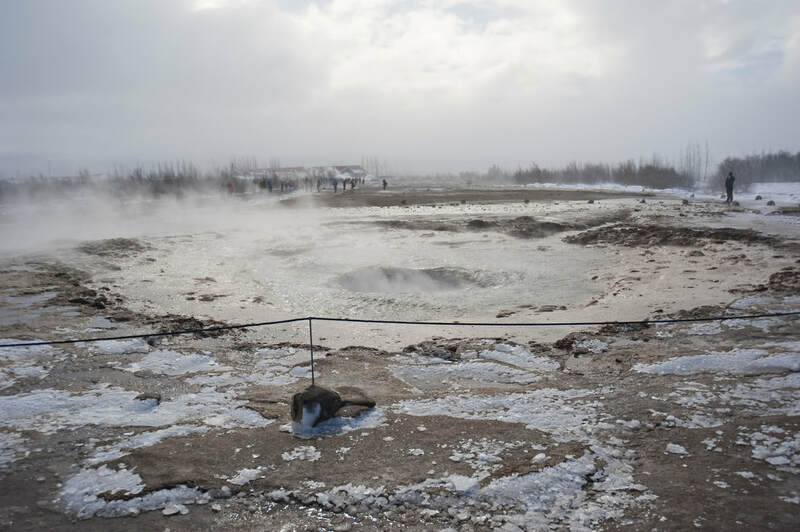 Next stop was up the road to the Geysir area to see Strokkur erupt. When we got to the parking area, we experienced the most incredible wind. It felt like our clothes would be ripped from our bodies. We had to shield our eyes from the stinging rain and lean into the wind and concentrate on not being pushed over. It was remarkable!!! Not nearly enough clothes! Really needing our luggage to show up!!!!! 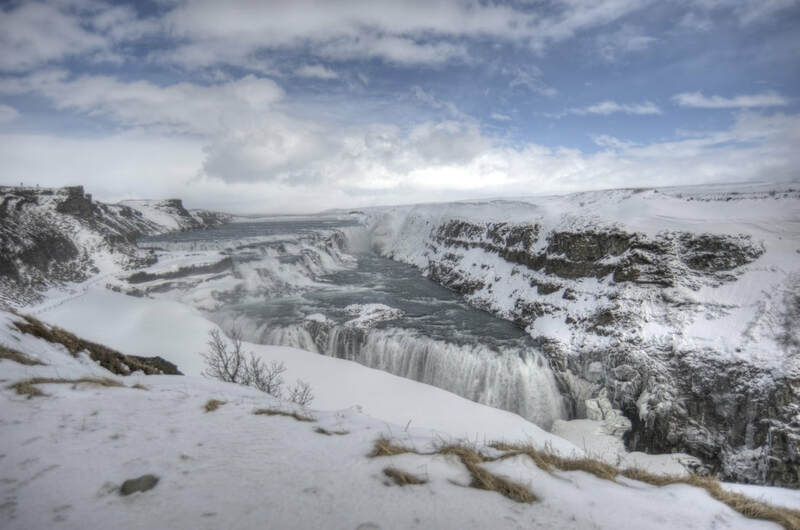 Gullfoss was by far the most spectacular waterfall we saw during our trip. It can't be appreciated in photos. They just don't do them justice. You can't hear the thundering power or feel the wind the rushing water creates. Had you heard the string of profanity that came out of my husband's mouth when he first saw it, that may have helped to describe the magnitude of this natural wonder. 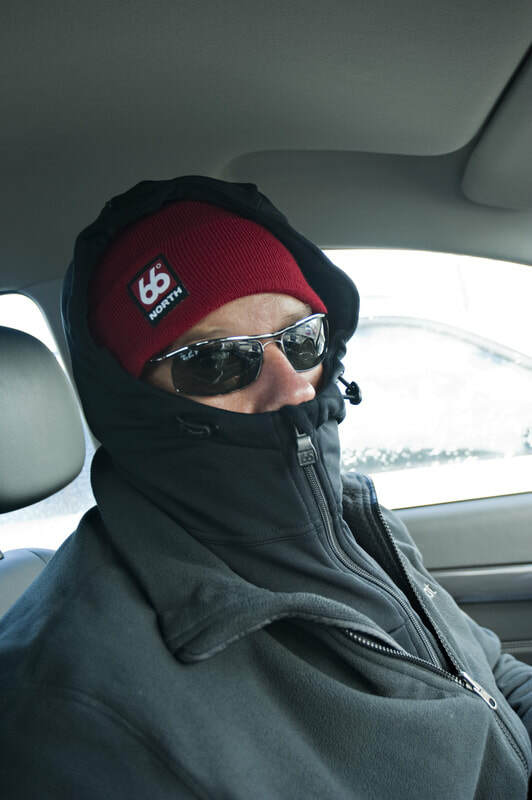 To read more about our adventures and experiences on The Ring Road, click on Part 2.